The wedding of Justin Hughes to Christine Zwolinski. 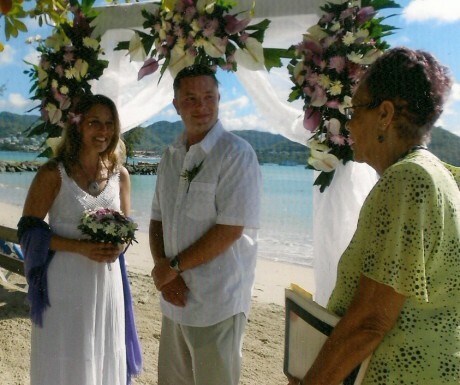 A beautiful beachfront setting at Sandal’s Grande St. Lucia was the location for the marriage of Justin Hughes to Christine Zwolinski. 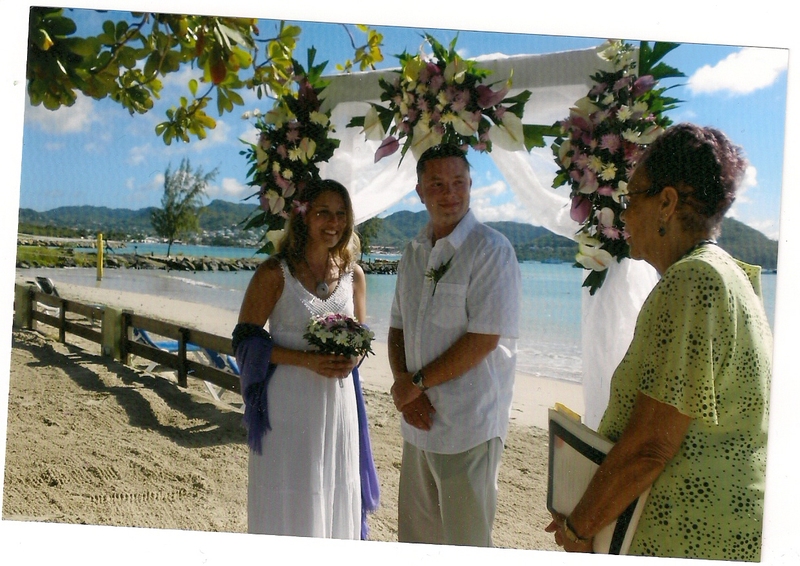 The couple wed on New Year’s Eve day. Christine Zwolinski is the daughter of George Zwolinski and Carol Zwolinski of Fulton, NY. Justin Hughes is the son of Jack and Ann Hughes of Eden, NY. Carol Zwolinski and Mr. and Mrs. Hughes were in attendance. Christine is a 2nd grade teacher in Enfield, CT. She has her Master’s in Elementary Education Justin is a Flight Engineer at C.V. Starr & Co.